Whether it’s a flower of a festival, part of surviving in the desert means being able to live without many resources. 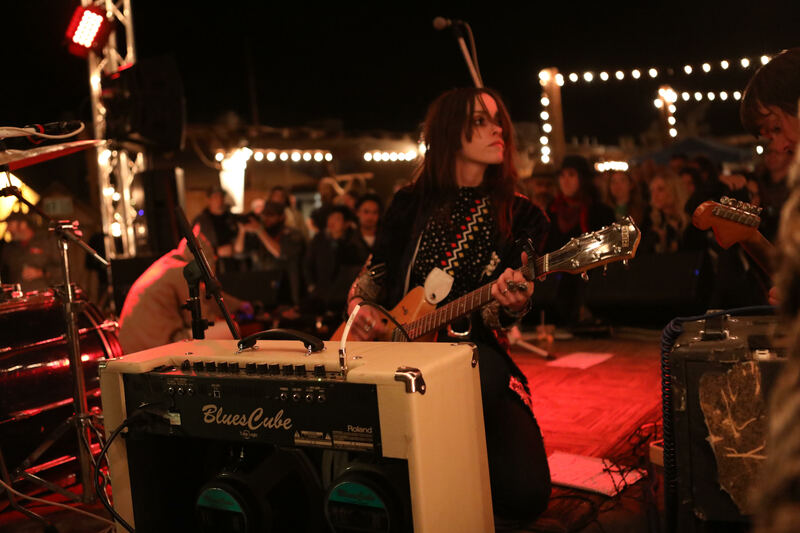 It’s the kind of environment built on creativity and strength that Tommy Dietrick and his Desert Stars Festival continue to thrive on 11 years after starting the festival in at Pappy and Harriet’s in Pioneertown. Dietrick came back three hours later to find his comrade standing next to a fully functional stage with lights and lumber purchased from Home Depot. “I have a photo of it somewhere, at one point [the stage left Pioneertown] and I’m told it still exists 10-11 years later,” Dietrick says. Similarly, Desert Stars has managed to hold its niche within the high desert kingdom of Joshua Tree and Pioneertown as a haven for shoegaze and psychedelic rock for 11 years running. Through the ebb and flow of festivals competing to be the biggest, the boutique festival’s enduring charm has been the intimacy that comes from an event thrown for 1,000 people or less. Sure, there have been years when Dietrick has tried to go big with Desert Stars, but usually, it just left him feeling burnt out. This year, the two day festival (March 29-30) hosts upwards of 21 acts from all over SoCal as well as a few international bands, headlined with a double whammy of indie music legend Dean Wareham, doing a solo performance of material from his legendary alt-rock band Galaxie 500 on Friday and with revered dream pop quartet Luna on Saturday. For Dietrick, who grew up on Wareham’s music–from Galaxie 500 classics like 1989’s On Fire and Luna’s entire catalog including their venerated 1995 album Pup Tent–landing this headliner was akin to watching the stars align. Friday night guests will be treated to some far-out songs and storytelling courtesy of Joel Gion, former tambourine player of The Brian Jonestown Massacre (think of the decades worth of tales this dude has!) Wash all that down with a broad spectrum of acts from as far as Italy (the dark, modern rock of New Candys), popular returning acts (LA’s Spindrift and J-Tree’s Jesika Von Rabbit) and a few OC-based up and comers (Spirit Mother and The No. 44). “There’s some really cool opening and support acts and I tell people every year don’t just show up for the main ones you now because we hand-pick all of them and there are some really good ones this year,” Dietrick says. Now a full time resident of Joshua Tree (where he also runs a recording studio called SkyLab), Dietrick’s mission with the new venue on his newly purchased land behind Zannedelions Boutique on 29 Palms Highway is to create opportunities for locals who want to be a part of creating the newest chapter in the festival’s history, from hiring local construction and building crews to offering slots to high desert vendors in the newly expanded marketplace inside the festival grounds. All of this is possible with Desert Stars new outdoor theater location which is about twice the size of the former Pappy and Harriet’s location. Still, Dietrick is pledging to keep things very small, opting to only sell 400 tickets in order to test the infrastructure of Desert Stars new digs, including a craft beer garden and local food options. “We wanna be responsible because it’s Joshua Tree,” Dietrick says. 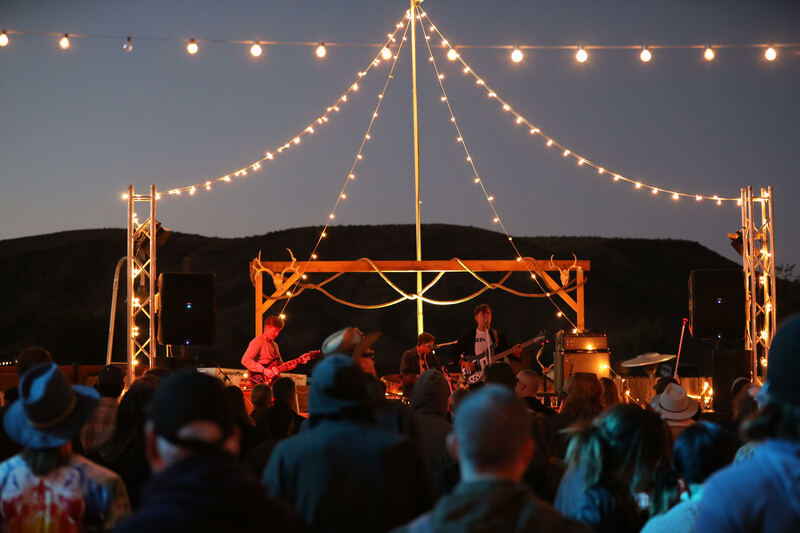 “Everyone knows Joshua Tree has felt some strain over the years with new production companies coming in and the town is not really receptive to it.” Fortunately, after being in the area with this festival for over a decade, Dietrick’s relationship with the locals is pretty rock solid and his new outdoor venue represents a lot of opportunities for the community to use it for smaller, offshoot gatherings. As a new season approaches, a time of rebirth for the festival to re-establish its psych rock roots feels like a good move that will allow Desert Stars to thrive into the next decade. Desert Stars Festival featuring Dean Wareham, Luna, Joel Gion, Chaos Chaos, Spindrift, Jesika Von Rabbit and more at Desert Stars Outdoor Theater, El Reposo Cir., 29 Palms Hwy, Joshua Tree, www.desertstarsfestival.com, Friday March 29, 3 p.m.-Saturday, March 30, 11 p.m., $48.50-$119, all ages.